Rangasthalam is an Indian Telugu period revenge drama which is directed by Sukumar and produced by Y. Naveen, Y. Ravi Shankar and C. V. Mohan under the banner of Mythri Movie Makers. The film stars Ram Charan and Samantha Akkineni in the main lead roles. Aadhi Pinisetty, Jagapathi Babu and Prakash Raj played other crucial supporting roles. ram charan himself has done the distribution work by his konidela production company. Devi Sri Prasad has composed the music very differently this time. the music is already trending. The movie was officially launched by Chiranjeevi in February and commenced its shooting from April 2017. The film is all set for a worldwide release on 30th March 2018. Rangasthalam deals with a routine revenge drama. 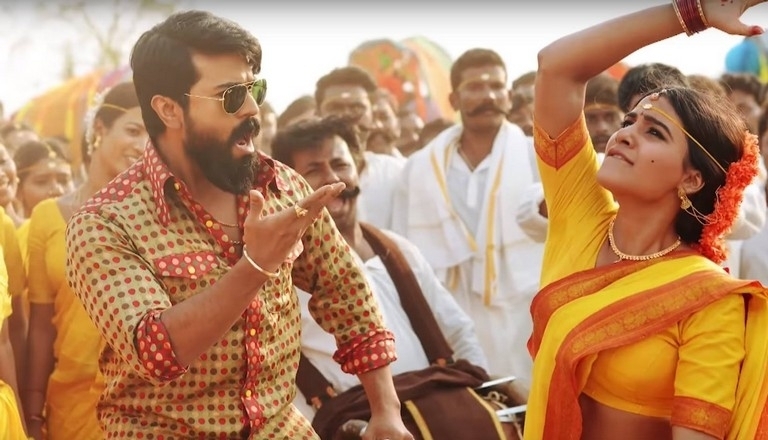 the movie is set in the background of a drought-stricken village named rangasthalam. chitti babu, the main lead role will fight against the powerful landlords who are waiting for the supremacy in his village. he ( chitti babu ) will finally make an access to water to the villagers. the twists and turns are the remaining part of the story. 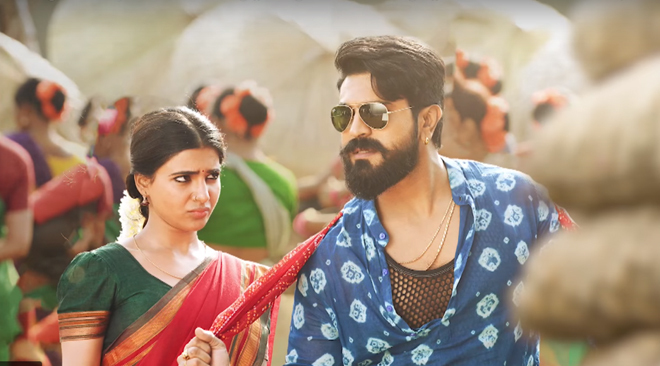 the film is about chitti babu, who is the deaf sound engineer in the village rangasthalam who runs a boat for his livelihood. the movie is a routine period revenge drama, but Sukumar’s way of presenting the subject is a brilliant entertainer. the director has turned the subject with some thrilling twists and turns to the commercial movie. ram charan plays a new character and will definitely steal your hearts with his impeccable acting skills in comic timing, action and other scenes too, which is the highlighted part of rangasthalam. samantha Akkineni had some scope for acting and she had done a great job of it. 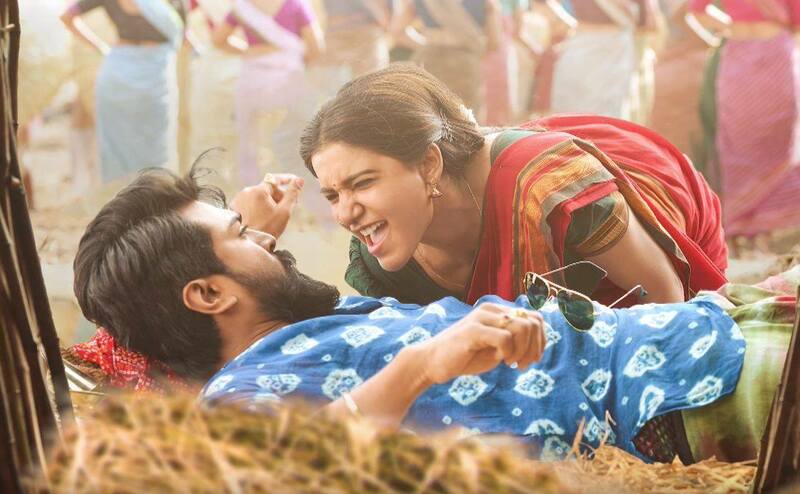 the chemistry between Samantha Akkineni and ram charan is also one of most highlighted part of the film. aadhi pinishetty, jagapati babu, Prakash Raju and other main roles have also justified for their characters. as that rangasthalam is a 60 crore budget film, rangasthalam has good production values. devi Sri prasad composition of music is extraordinary. the background music is a goosebump composition with chandrabose lyrics. rathanavelu’s camera work is beautiful. the amazing sets depict 1980’s for its art which is done by art director Rama Krishna Monika. navin nooli’s editing and dialogues and ram- Laxman’s action choreography are the also the attractions in the technical front. three superhit songs along with background music. rangasthalam is a mass entertainer and a village story. the movie lovers can watch the movie for charan’s performance and Sukumar’s direction. Stay tuned to this website. We will update Rangasthalam Movie Collections here. Press CTRL+D to bookmark this page for easy navigation.